town hall meeting where everyone can come together and engage in a conversation sharing ideas and concerns. This week, I held an ‘America Speaking Out’ town hall where a good crowd joined me to discuss the issues they want this Congress to address. Topics ranged from the need to address our national debt, national security concerns, illegal immigration, and energy policy. I was pleased that that we had a robust discussion and that the discussions remained respectful and productive. 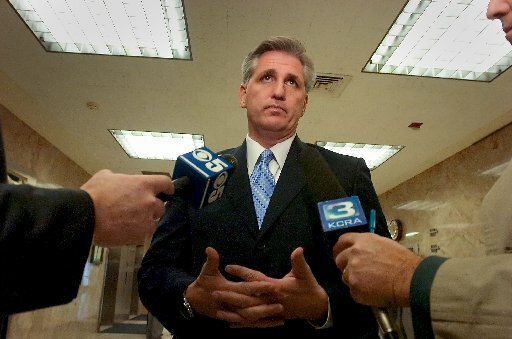 "Thank you to everyone who came to the town hall, and for those of you who were not able to, you can join the discussion and offer your ideas by visiting my website www.KevinMcCarthy.house.gov or join the national discussion at www.AmericaSpeakingOut.com. in history and political science at the University of Nebraska-Lincoln. I welcome all the new interns, and look forward to updating you as new ones arrive. "Next week Congress will be back in session. I hope to see your ideas on AmericaSpeakingOut.com. Have a good week."